Are you ready to step out of your shadow and ignite your life? Take your first step and get in touch with me today. Together we’ll explore your true potential, and begin your journey towards designing, creating, and living your best life. 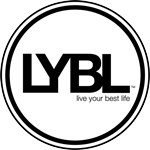 Join a community of over 2,000 people worldwide who are aligned with the LYBL spirit.